You may look all you want, but it will inevitably be in vain! Uber-sleek French fashion powerhouse Givenchy is possibly the hottest fashion label (and for good reason) out there. Amidst all the hype surrounding the Maison, from the spectacular show during last year's Paris Fashion Week to hosting last week’s Metropolitan Museum of Art Costume Institute Gala in New York City, Givenchy's creative director Riccardo Tisci's unveiling of his much anticipated S/S13 Menswear collection on 29 June 2012 elevated the historic fashion house to new heavenly heights. 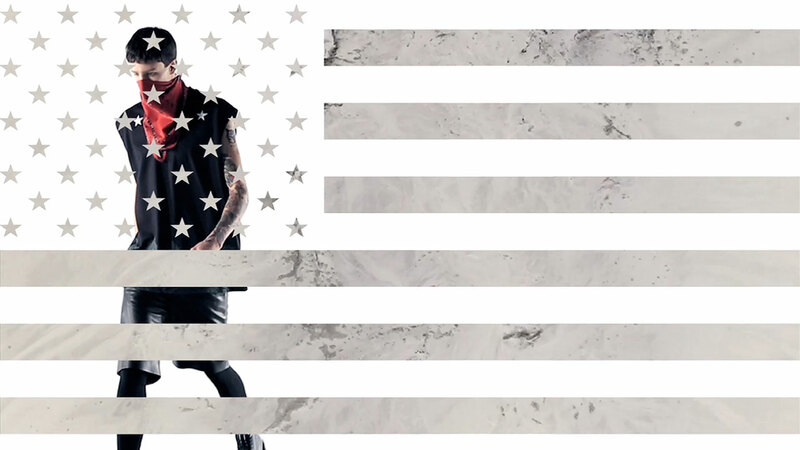 GIVENCHY x BARNEYS: Film Still © Gordon von Steiner. Givenchy recently teamed up with Barneys New York enlisting sought-after Canadian filmmaker and photographer Gordon von Steiner to create a short film for the famous department store. A regular contributor to GQ USA, GQ Japan, Vogue Italia and V Magazine, Gordon von Steiner never fails to amaze with his bold cutting-edge aesthetic and distinctive take on fashion imagery (just check out his spectacular ‘FACE THE FUTURE’ video for VOGUE Italia previously featured on Yatzer and you won’t fail to be amazed). 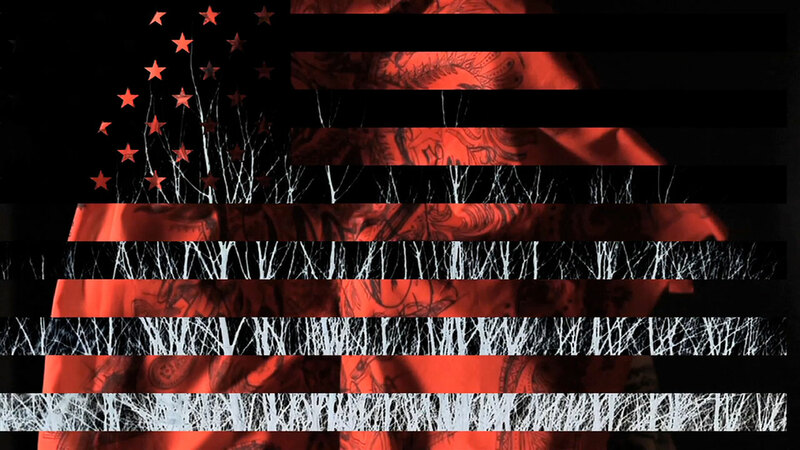 GIVENCHY | Spring-Summer 2013, Menswear / Directed by Gordon von Steiner / 1st Assistant Alvaro Colom / Production Manager Kelly McGee / Studio Assistant Eva Tolkin / Post Production Naakt House / Colorist Mark Herlt. 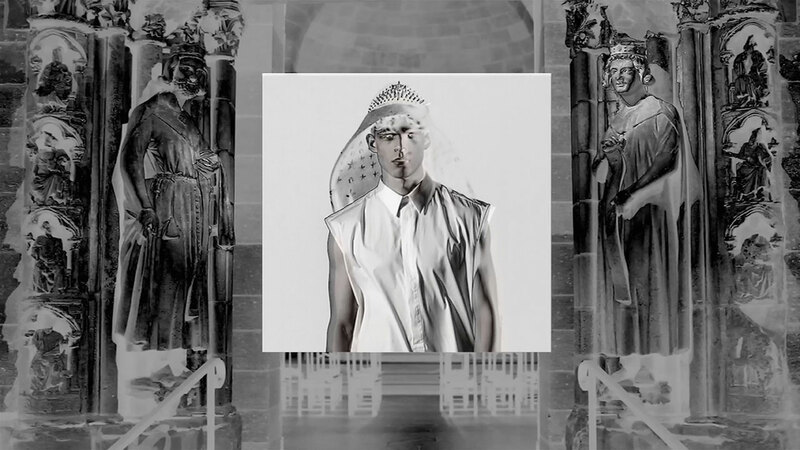 Starring models Miles Langford and Andre Bona, the Givenchy X Barneys fashion film is a mystifying Goth-Romantic extravaganza which translates the S/S13 Menswear collection into an arresting spectacle highlighting the edgy-Catholic elegance of the garments’ construction and prints. Ingeniously revamping the religious-themed work of William-Adolphe Bouguereau, a prominent French academic painter from the Realism movement, the collection offers a certain offbeat new-age elegance deeply rooted in religious imagery that is both romantic and dark at the same time. In the film, Gordon von Steiner masterfully overlays dystopian environments, patriotic references and religious iconography with kaleidoscopic cinematography and multilayered imagery. Drawing inspiration from the collection’s prints, the film explores allegory and tradition through emblems of authority, such as the American flag, the Catholic cross, a star and a triangle. A sharp and piercingly assertive marching beat becomes a futuristic national anthem for the parade of the Givenchy man, where ‘Gangster Madonna’ and ‘Virgin Mary’-emblazoned scarves become the new universal flag, draping the body like new-age Holy Shrouds. Through von Steiner’s unique vision, Givenchy presents a collection for a new army of men that are poised and graceful, yet equally dominant and assertive; an army of men never afraid to bend the rules. 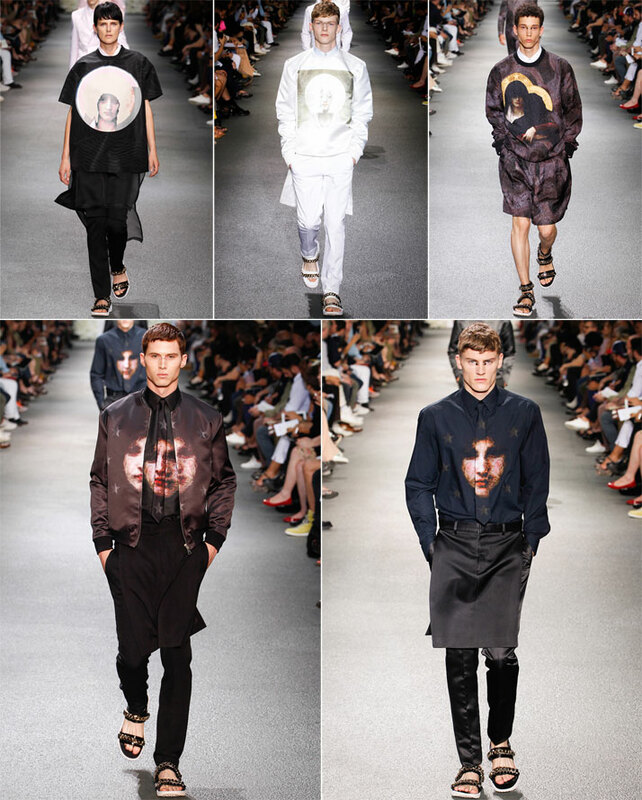 GIVENCHY S/S 2013 menswear Collection. photo © Yannis Vlamos.